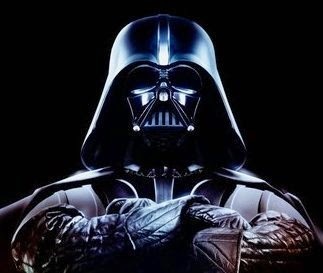 I wanted a second opinion on Wine Spectator's 2014 Wines of the Year, so I contacted Darth Vader, a formidable critic and emeritus editor from the magazine. He used The Force to retaste the wines in question. Wine of the Year (Dow vintage Port 2011), original Wine Spectator review: "Powerful, refined and luscious." Darth Vader's take: "You are as powerful as the emperor has foreseen." Wine No. 2 (Mollydooker Carnival of Love McLaren Vale Shiraz 2012), original review: "The finish expands and powers up." Darth Vader: "You underestimate the power of the Dark Side." Wine No. 3 (Prats & Symington Chryseia Douro 2011), original review: "Monolithic red, pure and powerful." Darth Vader: "The ability to destroy a planet is insignificant next to the power of the Force." Love it. 3 of the top 4 from Portugal huh? They must be trolling for additional sources of ad revenue. I was under the impression that "monolithic" had a negative connotation. Silly me. WS loves POWER! And, to second Jonas, why would one use the term monolithic as desirable when describing a wine? One of its definitions: "characterized by massiveness, total uniformity, rigidity, invulnerability..." Well, perhaps that's what they're going for.